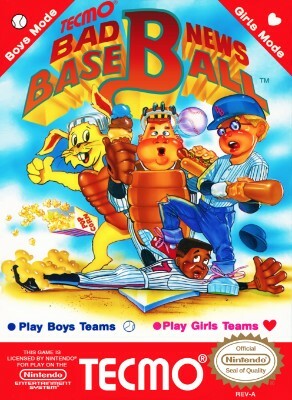 Bad News Baseball Nintendo NES SNES Brand New Factory Sealed VGA 85+ Mint!!! NEW FACTORY SEALED NINTENDO NES BAD NEWS BASEBALL TECMO VGA 85 NM+ 1990 RARE! Bad News Baseball (Nintendo Entertainment System, 1990) Cart only. Tested!!! Nintendo NES - Bad News Baseball CLEANED & TESTED works! Bad News Baseball Nintendo Entertainment System NES Game Cartridge Nice!